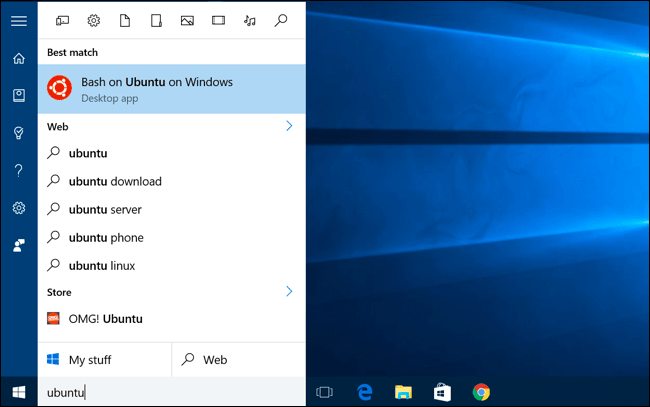 If you are a developer and you want to Install Linux Bash Shell on Windows 10 then instead of using third party software like Cygwin or Babun, you can enable ‘Linux Subsystem for Windows’ and use Ubuntu Application on your Windows 10 computer. Linux Subsystem for Windows is not a virtual machine. 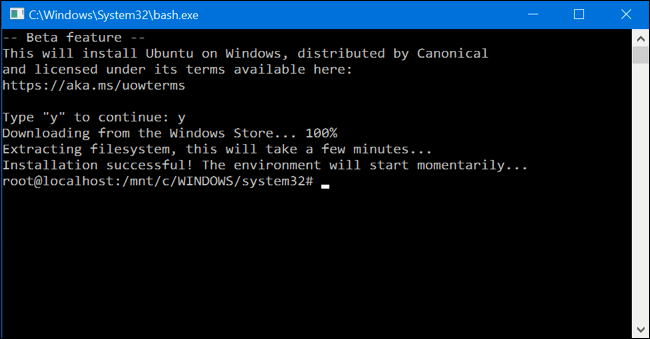 It’s a fully functional piece of software that allows you to install and Use Linux Bash Shell on Windows 10. Not only Linux Bash Shell you can install any Linux software on your computer. Microsoft worked with Canonical (parent company of Ubuntu) to enable this feature to its users. It is a great feature but linux Subsystem comes with few limitations. The software will not work with server software and graphical software. It’s intended for the developer’s use to run Linux command line utilities on Windows. You can’t control normal Windows programs from Linux Bash Shell and Linux Bash Shell from Windows command-line. This tutorial is only valid for users running Windows 10. You can’t enable this feature in previous Windows versions like Windows 7, Windows 8 or Windows 8.1. If you want to install Linux Bash Shell on any of those Windows versions then I would recommend you to install Cygwin on your computer. 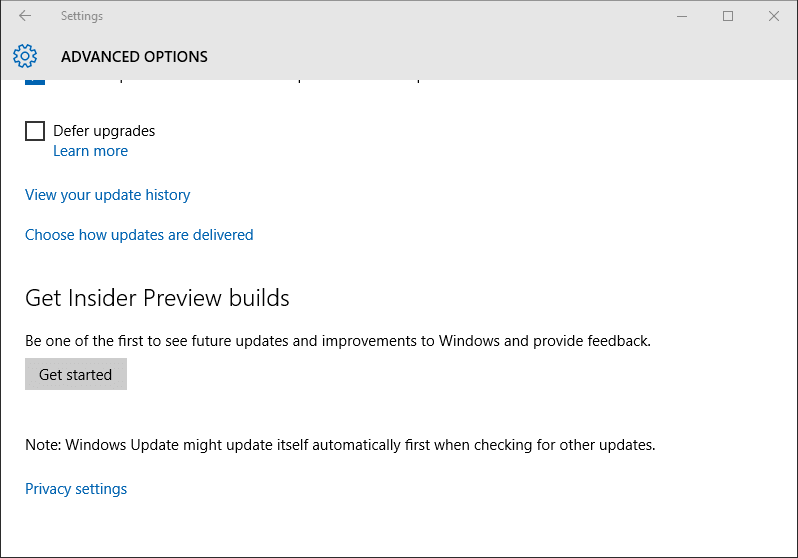 First, you need to Settings > Windows Update > Advanced Options and enable Insider Preview Builds. You will be installing pre-release software and services that might not be fully tested. To install Linux Bash Shell you have to get Inside Preview Builds. Once you have enabled Insider Preview Builds you need to go to Updates & Security tab and under For Developers select Developer Mode. It will give you a warning about security risks and threat – click Yes to enable Developer Mode. Now you have to go to Control Panel > Programs > Turn Windows features on or Off. A list of programs and features will show up. 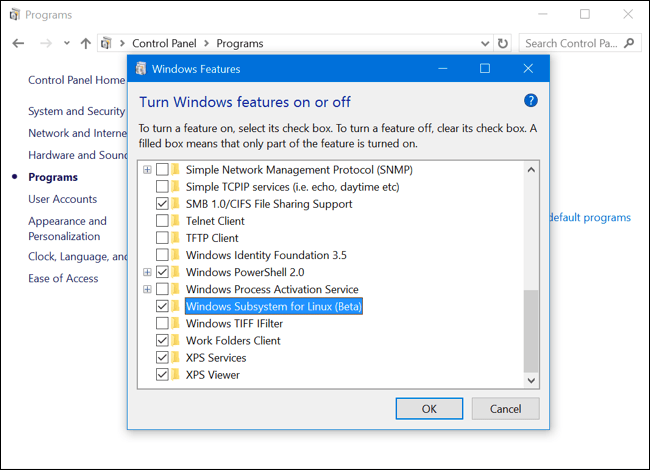 Find ‘Windows Subsystem for Linux (Beta)”, select it and click OK. It will ask you to restart your computer. Restart your computer. Once your computer is restarted go to Start Menu and search ‘bash.’ Bash will show up. Click on it to start Linux Bash Shell. It will ask you to accept terms and conditions. Press ‘y’ on your keyboard to accept the terms and conditions. It will start downloading required files from the Internet. Make sure you have a stable Internet Connection. If you are on Limited Data plan then you can exit and start the process once again when you are in a Wi-Fi zone. The download will take a few minutes. Once it’s completed, restart your computer. Now search for ‘bash’ or ‘ubuntu’ and ‘Bash on Ubuntu on Windows’ will show up. That’s your program. Create a shortcut on the desktop for easy access. Linux Bash Shell is now installed on your computer. You will have the root access just like you are an administrator in Windows environment. Linux Bash Shell is restricted to the Bash Shell. You will not be able to access it from Command Prompt or Windows PowerShell.